Closed head parallel action frame for accurate and consistent crimp performance. 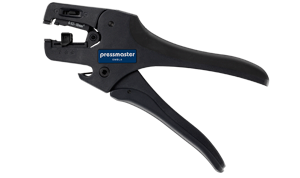 Scissors action tool with wide jaw opening for easy access and installation of the connector into the crimp nest. Scissors action tool with very small handle spread for smaller hand use, and confined work spaces. 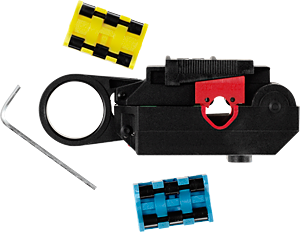 This parallel-action precision frame provides even pressure during the crimp cycle for more accurate crimping requirements. 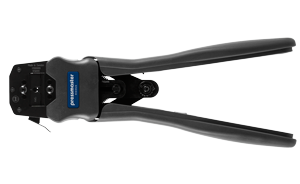 T2258 is a crimping tool for uninsulated tubular connectors 4-16 mm²/11-5 AWG. 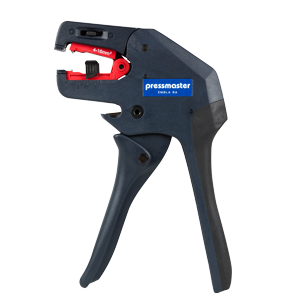 This lightweight and compact tool is designed for field usage. 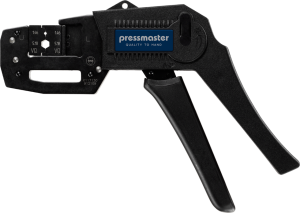 A versatile ratchet crimp tool for most types of mechanical, electrical and electronic connectors. Embla RA is a self-adjusting cutting and stripping tool for modern electrical installation and equipment wires. Embla is a self-adjusting cutting and stripping tool for modern electrical installation and equipment wires. Tor is a professional stripping tool for cables of all insulation types. Oden is a precision stripping tool for removing the sheath from signal, telephone, audiovisual, instrumentation and data transmission copper and fiber optic cables. 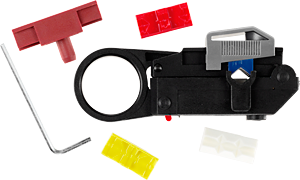 Corex strips coaxial cables in twenty seconds or less. Highly versatile, it strips more types, qualities, sizes, and strip length specifications than any other stripper of its kind. Length: 90 mm / 3.54"
Height: 37.5 mm / 1.48"
Maxi Corex strips coaxial cables in twenty seconds or less. Highly versatile, it strips more types, qualities, sizes, and strip length specifications than any other stripper of its kind. Individual blade adjustment assures high stripping accuracy. Length: 106 mm / 4.17"